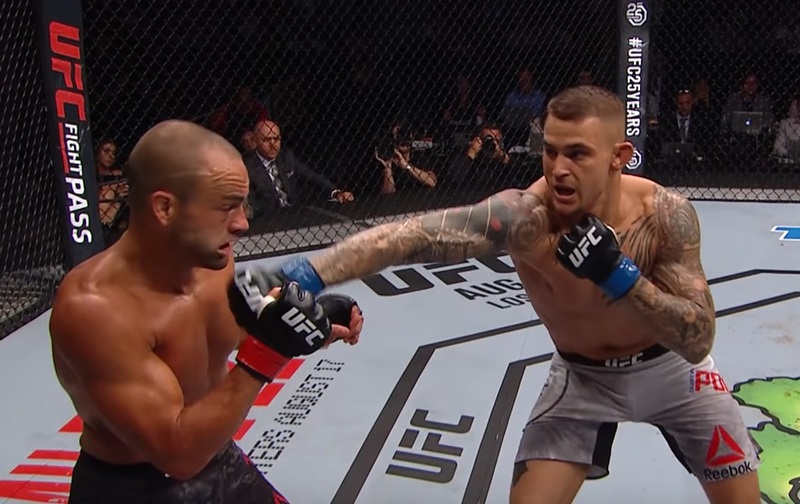 It remains to be seen what’s next for the UFC’s top lightweights, and Dustin Poirier is clearly frustrated with that fact. Due to Khabib Nurmagomedov’s pending, disciplinary action from the Nevada Commission, as a result of the post-fight brawl at UFC 229, it’s not known yet when the lightweight champ will fight next. In addition, Conor McGregor is also facing the possibility of a suspension, as a result of what transpired after his loss to Nurmagomedov. “…This is going to be my 40th fight this next one, and I’m closer than ever, and here were are getting held up and messed around with all kinds of (expletive) like this. Poirier was expected to fight Nate Diaz at UFC 230 last month, but due to a hip injury, he had to withdraw from the fight.